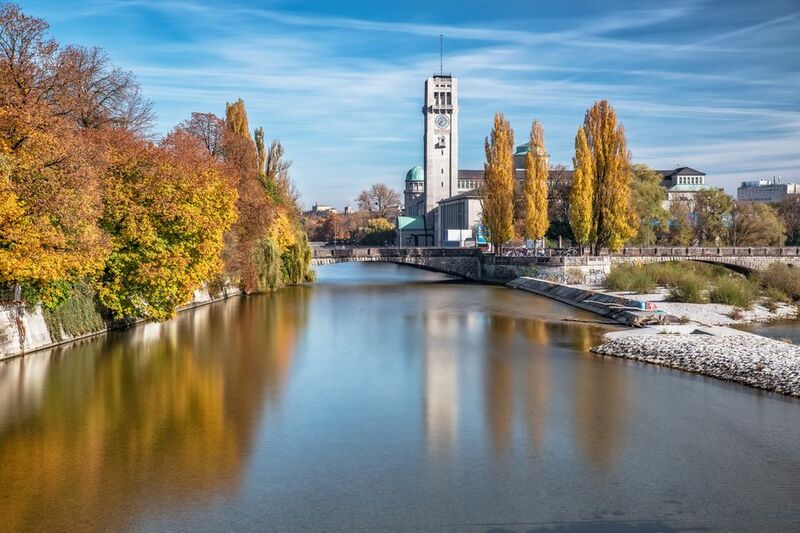 The Deutsches Museum von Meisterwerken der Naturwissenschaft und Technik (or the Deutsches Museum Munich or the German Museum in English) is located on an island in the river Isar that runs through Munich's city center. Dating back to 1903, it is one of the oldest and largest science and technology museums in the world and boasts an impressive collection of over 28,000 historic artifacts in 50 fields of science and technology. Every year 1.5 million visitors explore the site. The exhibitions of the museum include natural sciences, materials and production, energy, communication, transport, musical instruments, ad new technologies. You can see the first electric dynamo, the first automobile, and the laboratory bench where the atom was first split. The collection of the German Museum is huge and can be a bit overwhelming if this is your first visit. It is recommended to concentrate only on certain parts of the museum instead of rushing through and trying to see it all. Your kids will love exploring this museum too. The museum offers a plethora of interactive exhibits for busy hands, and there is a whole section dedicated to curious children. At “Kid’s Kingdom”, young explorers can sit behind the wheel of a real fire engine, fly into the air, or play on a giant guitar, just to name a few of the 1000 kid-friendly activities at the German Museum in Munich. In addition to the location on Munich's Museumsinsel in the center, there is a Flugwerft Schleißheim branch 18 kilometers north. Its location is part of the attraction as it is based on the premises of one of the first military airbases in Germany. Elements of its time as a base are still part of the site such as the air control and command centre. The massive airplanes are also part of the appeal. This includes the 1940s Horten flying wing glider and a range of Vietnam era fighter planes. There are also some Russian planes from East Germany, recovered after reunification. A section of the museum in Theresienhöhe was more recently opened and named the Deutsches Museum Verkehrszentrum. It focuses on transportation technology. A branch of the museum also exists in Bonn, opened in 1995. It focuses on German technology, science, and research after 1945.